In a gathering of nearly 37,000 people, activists marched the streets of San Diego with a mosaic of homemade signs to advocate for women’s rights. This year’s Women’s March was entitled “Hear Our Vote” in support of the midterm elections taking place in November. Hosted by the Women’s March Organization, the event ran between 10 a.m. and 1 p.m. on Saturday, Jan. 20, one year since President Donald Trump’s inauguration. Several other public officials who were present at the event included San Diego Councilmember Georgette Gómez, Senator Toni Atkins, Assemblywoman Lorena Gonzalez, San Diego Councilmember Barbara Bry, and Congresswoman Susan Davis. Speaker, stylist, and manager of Le Red Balloon, Skyler McCurine acted as the master of ceremonies, and prior to the march itself, performances were provided by musician Veronica May and the San Diego Women’s Chorus. Members of the Kumeyaay Nation, the original inhabitants of the land in the San Diego and Baja California region, blessed the event goers and the march. Shortly after, as the marchers walked a 1.29-mile route on North Harbor Drive and looped back to Waterfront Park on Pacific Highway, cover band The Resizters provided a performance. The wide variety of subjects highlighted in the event by speakers and marchers included education, health care, women’s health, the environment, and immigration. 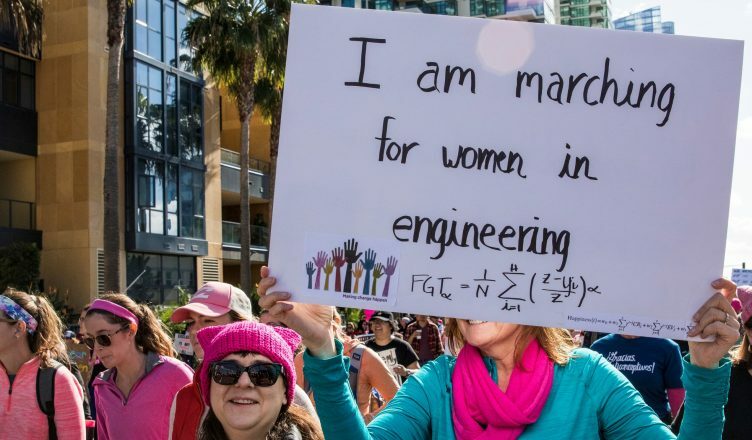 The full list of causes supported by the Women’s March Organization are listed on their website, as well as the specific organizations designed for those causes, some of which held booths at the San Diego march. A number of UCSD students also attended the march. Thurgood Marshall College junior Kol Chaiken explained to the UCSD Guardian that she attended to show unity with women of all backgrounds. There was an estimate of over 250 “sister marches” nationwide and several were held in cities in other countries such as Italy, Germany, and Canada.